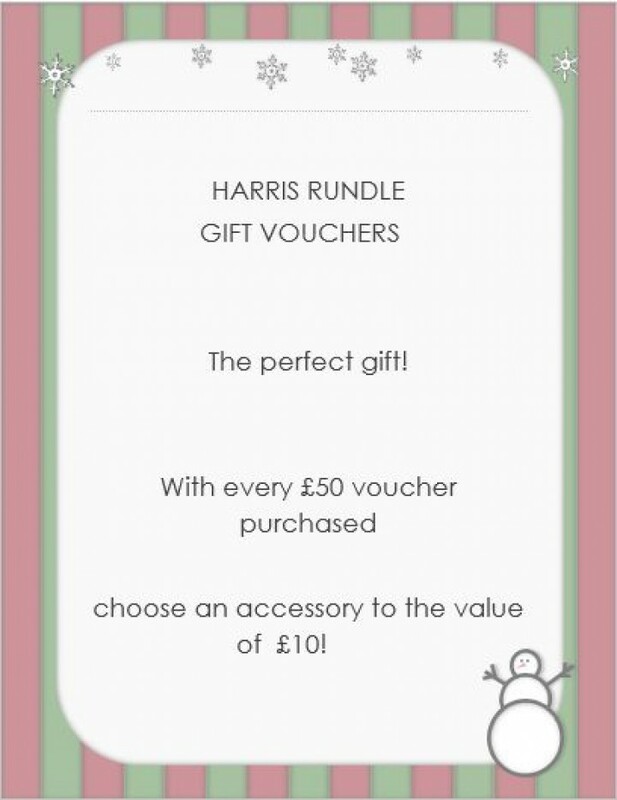 Harris Rundle Gift Vouchers ! Harris Rundle gift vouchers- the perfect gift this Christmas . With every £50 voucher purchased choose an accessory to of £10 ! Harris Rundle gift vouchers- the perfect gift this Christmas . With every £50 voucher purchased choose an accessory to of £10 !